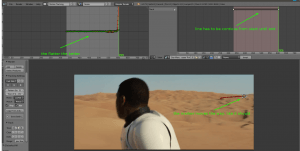 today i will show you how to create a star wars fake trailer with Blender 3d by using the program as a camera tracking software. 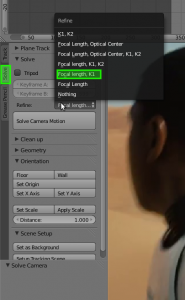 Certainly you can use this tutorial on any other footage. 1.) 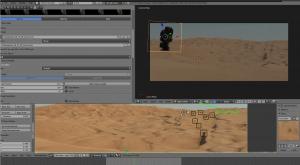 Open blender 3d and choose motion tracking. 2.) Open the star-wars trailer. 3.) Now we set the interval, where we want to edit the footage – in my case it is from 330 to 600. 4.) 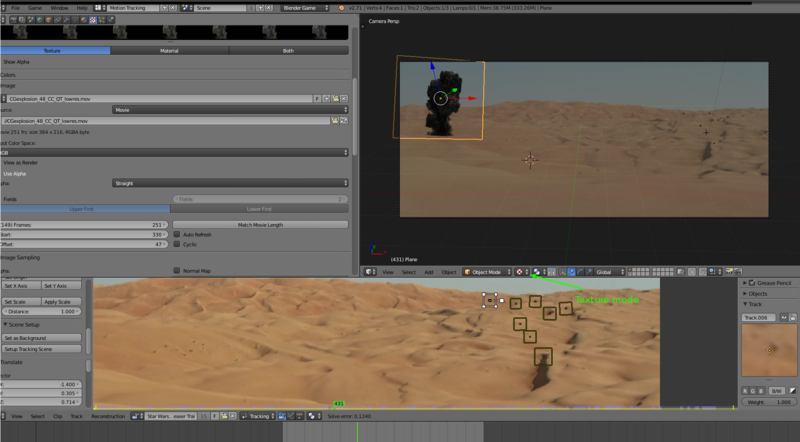 Now the complicated and time-consuming part: The tracking points / marker. You need at least 8 markers. 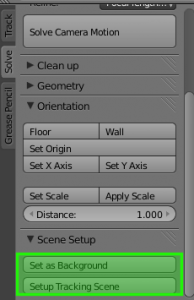 For adding a marker there are 2 options. 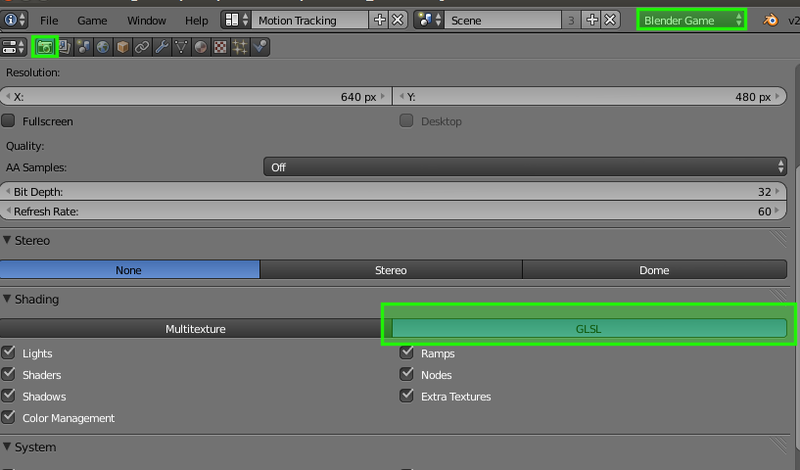 or 2. you can use STRG+left mouse button on the footage. It is important to find a part in the scene with a contrast. Set the marker at the start-point (330). 5.) Set the tracking setting to fast motion. 6.) Now be sure, that the marker is selected and press „STRG+T“ or from the menu. 7.) Check the 3 parts of the screen like on the screenshot below. 8.) Repeat steps 4,6,7 7 time now. After the that, the panel in the right upper place should be green. 9.) Now solve the camera motion. 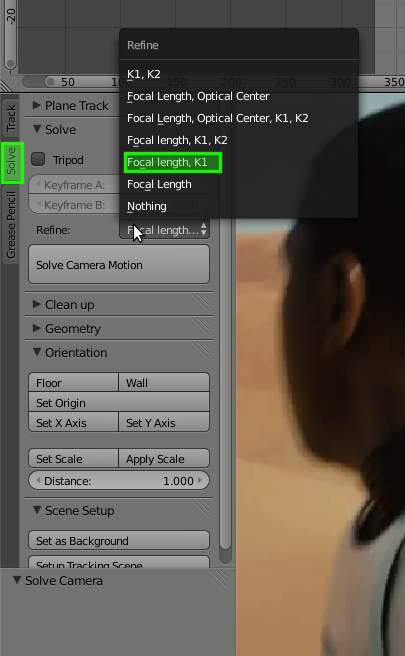 On the left panel youhave to select solve, enable keyframe and select focal length K1. 10.) Set the scene as background. 11.) Change the upper right panel to 3d-view and select View-> camera. For better editing rotate the camera by 45 degrees. Now you should see this setup. 13.) Open the properties panel in the left upper window. 14.) Select the plane in the right window, and add a new material in this left window. 15.) 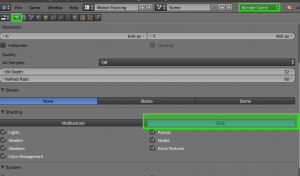 Create a „image or movie“ – texture for the explosion footage. 16. ) Under image open the explosion.mov. 18.) Now change the blender render to blender game and activate in the render setting glsl. 21.) If you want more explosions, you only have to add more planes and add this texture. 22.) Now you have the result without sound. Because we will add the sound at the end of the whole tutorial, you finished successful part 1 of „How to create a fake star wars trailer with blender 3d„.